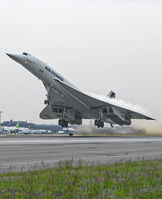 Image search results - "airfrance"
AIRFRANCE_CONCORDE_F-BVFB_0599C_JP_MAIN_small.jpgOne of the greatest pleasures of my life in aviation. Riding in the cockpit of the Concorde inflight! Not quite across the Atlantic, it was a positioning flight from JFK to Detroit (yes Detroit), but the price was right- free! Thanks to my friend Joe Wolf who at the time worked for Northwest and worked his magic to make this flight possible for the two of us. I'll be forever grateful Joe! AIRFRANCE_A380_JFK_F-HPJD_JFK_0412_JP_small.jpg22 years before this photo was taken, I was shooting Flying Tigers 747's in that same parking spot behind the triple hangars. How time flies..